A long time ago there was the Great War. The reasons for the war have been lost to time. On the shattered surface of the Earth, there is a metropolis that lives amidst the garbage thrown down from the inhabitants of a sky city floating above it. Welcome to Iron City. Garbage isn’t really garbage, it’s just useful stuff in the wrong place. Alita Battle Angel: Iron City introduces us to the world in which the majority of humans live after the Great War. With most of the planet inhospitable to humans, we have collected ourselves and redesigned society around two cities: Zalem, a high in the sky city for the elite, rich, and super powerful, and Iron City, a cesspool at ground level where all the garbage and refuse from Zalem is thrown, including people. Alita Battle Angel: Iron City is a perfect example of a prequel that boasts a tight connectivity to the film. The Alita Battle Angel film picks up right where this book leaves off, and the backstory that fills most of the 300 pages is right on. This novel is a deep-delve into the motivations and complex histories of the characters inhabiting Iron City. Too often, prequel novels tend to go off the rails, and spend a vast amount of literary resources on a brand-new story, instead of a deeper connection to the film readers want. Pat Cadigan, a celebrated science fiction author (two time-winner of the Arthur C. Clarke Award) sets her impressive talents towards providing the lucky purchaser of this novel exactly what they are seeking: More. Often, when a film affects our psyche, it’s not the special effects, it’s not the explosions, it’s not the car chases – it’s the characters and how they react to all the awesomeness that cinema allows. Cadigan explores this, to her great credit, in vast detail. Included in all this fleshed-out character development, we get a real feel for Iron City, the stinking, dirty, hopeless trench of a place where people scrounge and scrabble just to make a tolerable existence. Most, if not all, are unsuccessful. Places where hope doesn’t spring eternal tend to attract violence, and Iron City is no exception. Scavengers search the refuse pile from Zalem and provide parts to cyber-surgeons like Dr. Ido, and humans with body parts that give out or are injured can simply have cyber-parts manufactured and attached. Iron City is inhabited with people modified with machine parts, and the best of the best are attracted to the sport of the age — Motorball. Cyborgs race around a track, tearing limbs off competitors and outrunning each other in order to either be the last one standing, or to carry the metal ball across the finish line. An arms race has developed, with the fastest, best built cyborgs owning a distinct advantage over the other players, and Dr. Ido and his wife Chiren are the best of the best cyborg builders due to their early life in Zalem. One man, Vector (played by the immensely talented Mahershala Ali in the film) owns a Motorball team, owns Ido’s ex-wife Chiren, and basically owns the entirety of Iron City. He’s the Scarface and Julius Caesar of Iron City, and holds his dominating position using violence, extortion, and a tinge of crazy. All energy and will is bent on providing parts and advantages to the Motorball players. The citizens of Iron City revel in the black market trade of cyber parts and fast computer chip processors to connect robot appendages to human torsos. The driving force behind all character decisions in this novel revolve, directly or indirectly, around Motorball. An awesome approach to a graphic novel, and the CGI from the film provides eye-popping Motorball action, but Cadigan has some difficulty translating the action to the page. The reader spends a great deal of time reading about the increasing tension to Motorball games or new and exciting cyborg builds, but the resulting action is muted, lacking description and excitement. Further, Dr. Ido secretly moonlights as a bounty hunter with a bone-crushing weapon (The Rocket-Hammer!) but the fight scenes resulting from his hunts were rather clunky, as if an afterthought. Cadigan more than makes up for this with the truly science-fiction aspects of this novel- descriptions of the city, and cool information about the cyborg arms race, but I felt a bit of a let down after all the foreplay to a climactic action scene. 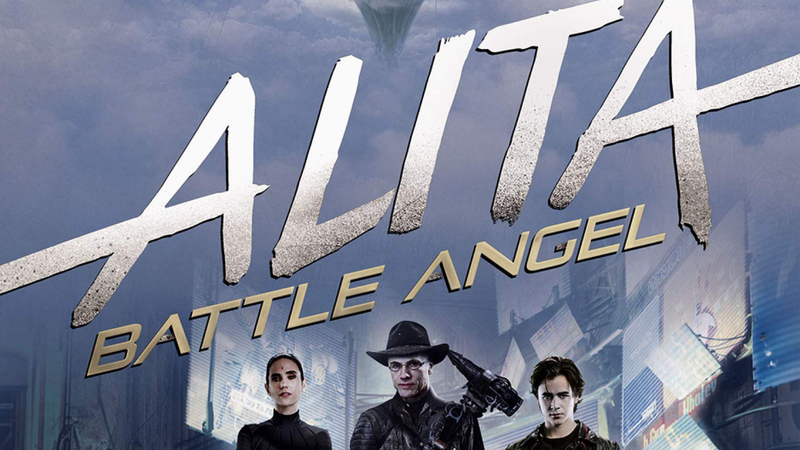 Alita Battle Angel: Iron City gives fans of the graphic novel and film franchise a front-row seat into the lives and motivations of the famous characters from the big screen. The dystopian future of humanity is investigated with a linear, easy to read style of writing that suits this journey into the lives of interesting characters frantically attempting to beat the system. This is a guaranteed no-miss enjoyment prequel novel written with style and substance. You can purchase Alita Battle Angel: Iron City via Amazon or directly from Titan Books. Thank you! Iron City was a cool place to wander around in. It’s a well-written book for sure.